It is the burden of my heart that through this web site and personal appearances, the message of the Gospel and the Truth of God’s Word will be a blessing to those who come in contact with this ministry. 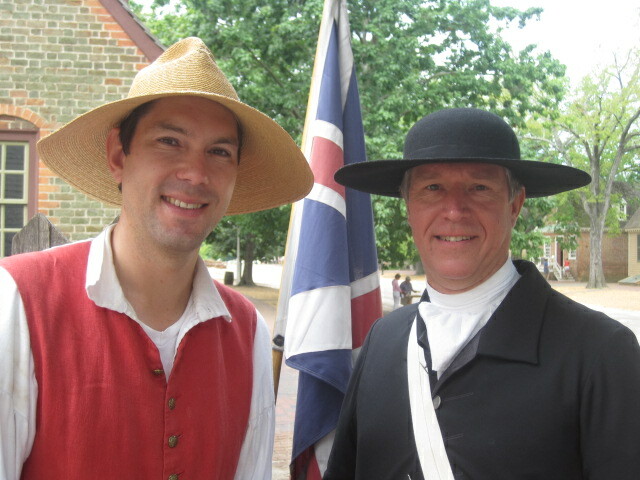 In the future we hope to present other great heros of The Faith in the Colonial era of America. 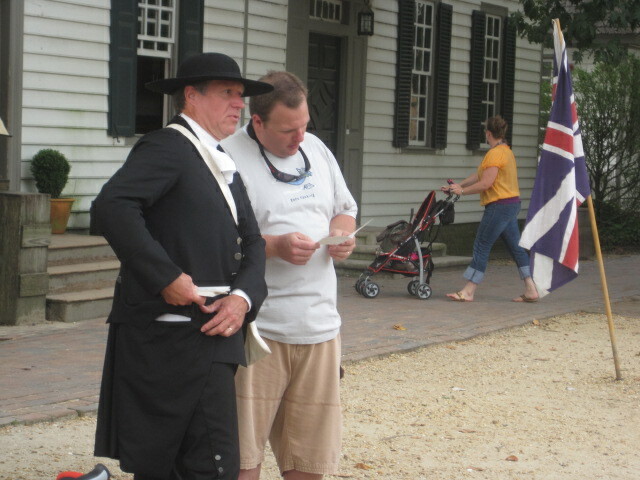 It is truly a most exciting experience to meet and greet folks, who often just walk up to us, from all over the United States and the world – on the streets of Colonial Williamsburg, Virginia. 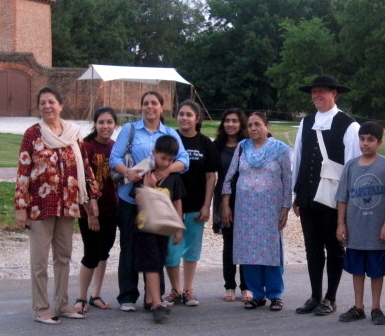 People come here to see how we came to be as a nation and how we have such precious freedoms. Whether from Pakistan, California or anywhere, all men appreciate the blessing of the Bill of Rights and the freedoms that God has given us through it. 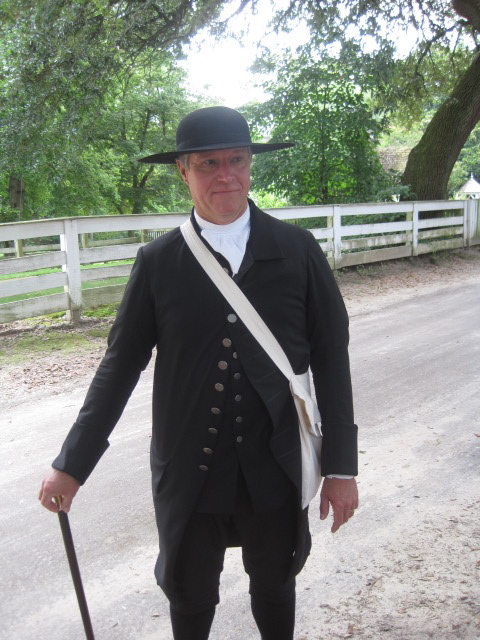 Through the means of first person we present the ministry and words of Elder John Leland to folks in Churches, Schools, Home School Groups, and on the streets of Colonial Williamsburg. We also distribute articles written by John Leland to help spread the Truth of God’s Word and the good news message that Christ died for our sins and was buried and rose again the third day according to the Scriptures. In God’s time, we hope to have video available on this site and for your purchase on DVD. As you see, I dress in the authentic clothing of an 18th century Baptist preacher in my presentations. Perhaps you will be the next one we see in Williamsburg or at your church or school!